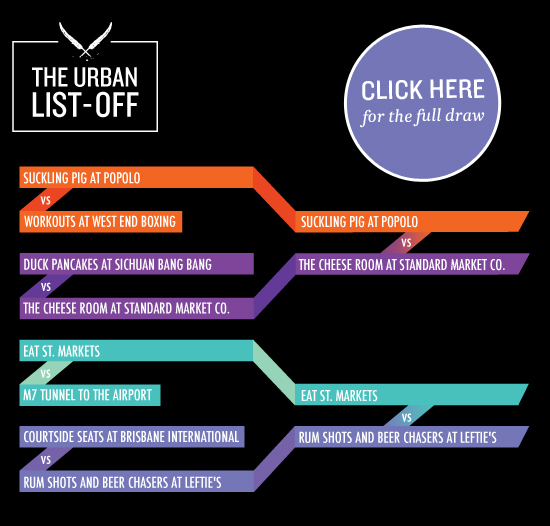 Two weeks ago we kicked off our annual Urban List-Off campaign. We put together out top 32 things we love about Brisbane, and handed it over to you, our loyal readers, to vote for your favourite things each week. The response has been outstanding; with close to 2000 votes in the first two weeks, you certainly are passionate about our amazing city! This week sees round 2 commence. 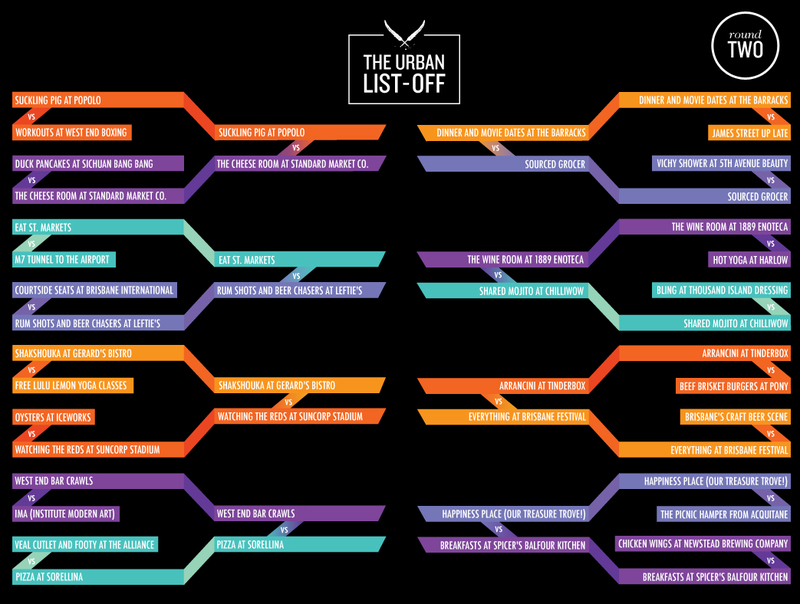 The top 32 is now the top 16; you need to keep voting for your favourite things if you want them to make it through to the top 8. Without further-ado, we present the top 16 match-ups for round 2. Not only do you get the satisfaction of plugging your favourite thing in Brisbane by casting your vote, but you also have the chance to win an amazing prize! 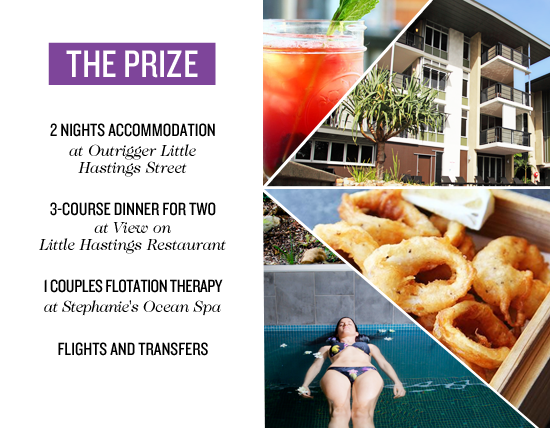 By simply voting you will automatically go into the draw to WIN two nights at Outrigger Little Hastings Street in a beautiful national park view apartment, sumptuous dinner for two at View on Little Hastings Restaurant, and the chance to float away your worries at Stephanies Ocean Spa's exclusive mineral colour therapy floatation pool. And, don't forget, you can vote as many times as you like! What are you waiting for? Jump on over to our voting page and get cracking!